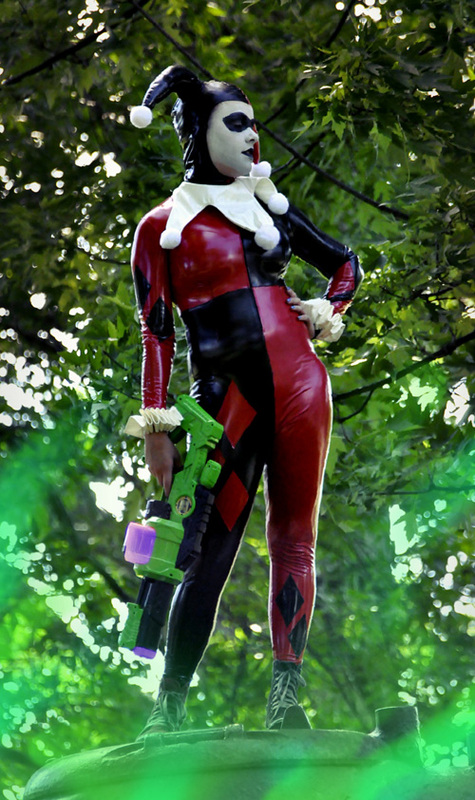 7 Geek Girl Harley Quinn Cosplays - Happy (Belated) BDay Harley! HAPPY BELATED BIRTHDAY HARLEY! 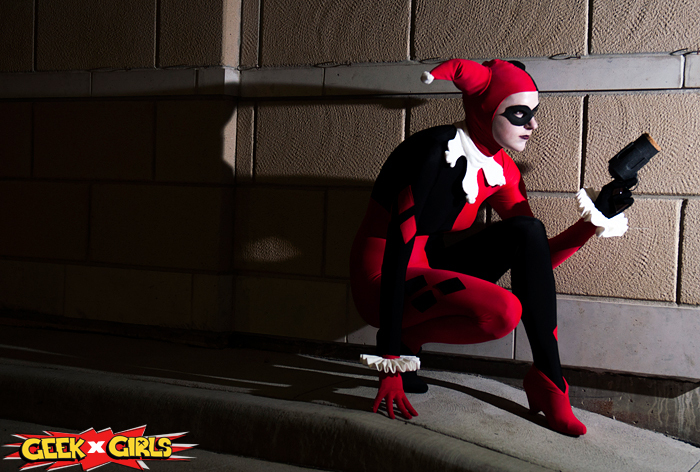 Some of the Geek Girls wanted to get together and post our fav shots from our Harley Quinn sets for her birthday! I think I can speak for everyone when I say we all adore her as a character. She is so fun to portray and each one of these ladies nailed it in their own special way! 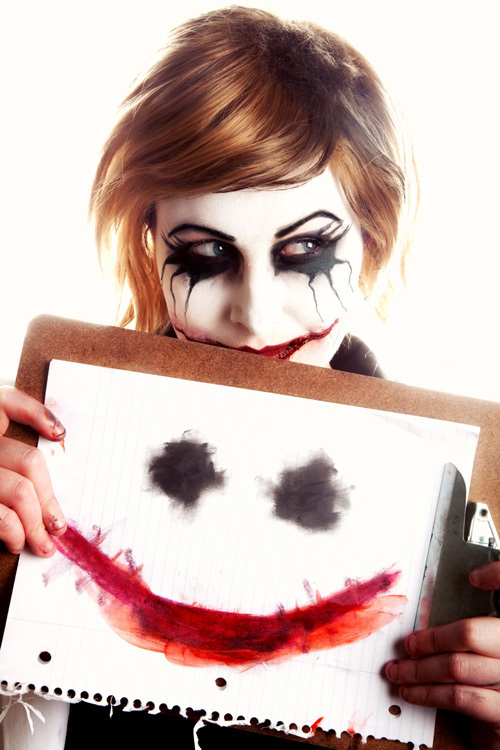 "Harley Quinn is pretty much my favorite thing ever! she has been since i saw the batman cartoon series as a kid. I love that she is totally crazy! Happy birthday Harley!" "Happy birthday Harley!!!!! This was one of my first times shooting a cosplay. Which started my journey as a cosplayer. It's one of my favourite cosplays because I get to be goofy and outrageous and wacky. Hoping to do another version of her soon!!" "Hey Mista-Jay! Wanna come rev up you're Harley? "This is a set I recently did before I wear the outfit to Montreal Comic Con :) I was so excited to wear this new concept which is inspired by Jessica Rabbit and I decided it would look super adorable as a Harley Concept. :) As per usual Trillance did a wonderful job with the photography, I can't wait to spend more time and do more shoots in the future dressed as Gothem's favourite spitfire :)"
"Happy Birthday to my favourite female villain!! 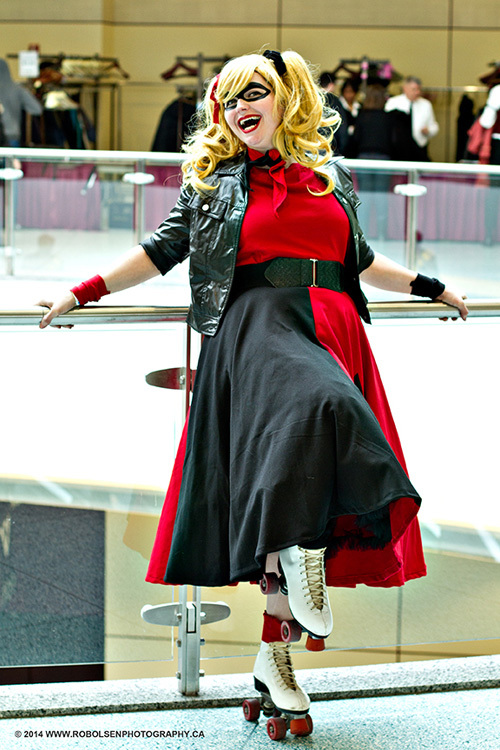 This cosplay was worn to fanexpo this year and boy was it fun to wear!! The giant mallet is one of the funnest prop I've made and taken to a con. I have a very bubbly personality, so her character is very natural to me to slip into. It was fun to shoot in roundhouse park with all the trains, I was very fortunate to shoot with a couple of really great photographers for this shoot. Happy birthday, Miss Harley!! <3 xoxo"
"Harley is my favourite girl to be. I run around conventions like a crazy person when I am dressed as this loony lass. And I have a ton more versions that I want to do cause she is the best. Happy Birthday Harley!" "Happy birthday to my main bat crap crazy girl Harley! Ahh we have spent many years together, you have been forever inked on my rib cage and are always in my heart. No matter how you change over the years I know my love for you will remain true and intact. 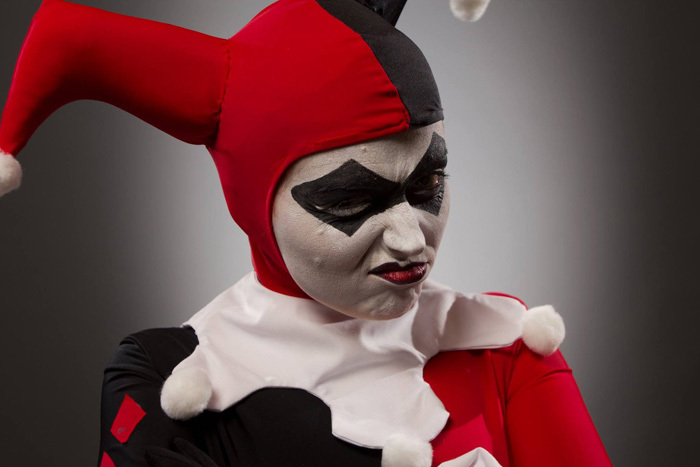 Have a good one girl, love from your puddin"
"Harley is a bit of a challenge, but she is such an amazing, complex character to get to be. 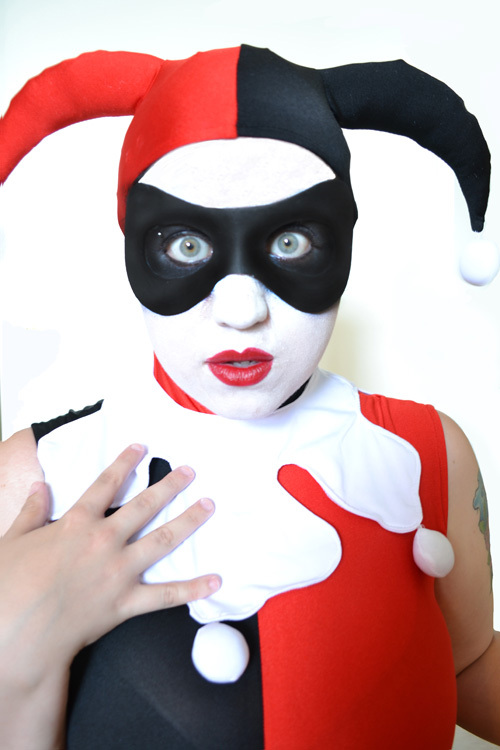 I went with classic Harley, in her first incarnation. I must have watched 'Mad Love' a hundred times as I worked on it, and I still go back and watch it now! Hapy Birthday, Harles, I know I'll be cosplaying you more and more!"